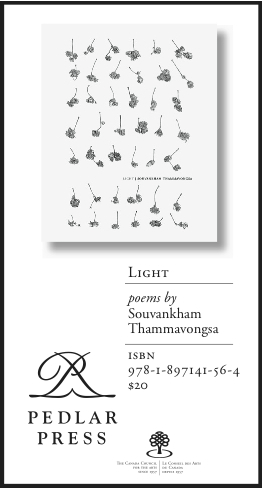 Souvankham Thammavongsa’s third poetry collection, Light, was launched in Toronto on Thursday 12 September at Supermarket in Kensington Market. After her reading Souvankham received a sustained ovation from her very pleased audience. Long-time readers of Jan Zwicky’s work, which include several collections of lyric poetry as well as her free-form works of philosophy, may be perplexed by her most recent offering, The Book of Frog, subtitled an amuse-esprit. Consisting of short chapters and a series of conversations between Frog, Al, an imaginary albatross, and their human friends Liv and Hugh, The Book of Frog may feel like a departure from her restrained and meditative books of poetry. Yet this whimsical and earnest prose work does have a definite place in Zwicky’s body of work. It continues a trajectory that has been advanced through a long writing career, a course shaped by her concern with metaphor, ecology, and how non-human ways of understanding can illuminate human society and relationships. At the same time, this slim book gives Zwicky more room and laxity to adopt an intimate and amusing tone, difficult to achieve in the kind of poetry and lyric philosophy with which she has engaged for over three decades. The Book of Frog allows its author to comment upon more quotidian, casual topics, such as social media, students, and travel. It also continues an ongoing conversation between Zwicky and her husband, Robert Bringhurst. Bringhurst has a strong interest in Haida myth, oral cultures, and polyphony, amongst other topics, and his 1986 work of poetry, Conversations with a Toad, has many parallels with The Book of Frog. Readers not familiar with either author’s work will still enjoy the book’s touching portrait of a marriage over long distances and its quirky exploration of the natural world. My main concern is that its allegorical elements may be too subtle for a casual reader. Those unaware of Zwicky’s grounding in both Zen Buddhism and the Western philosophical tradition might miss the book’s subtle, playful allusions. It is worth discussing whether or not a book such as this succeeds at drawing the readers’ attention, and how it might serve as an introduction to Zwicky’s oeuvre. Ecologists argue that while we can only guess at the kinds of knowledges, feelings, or thoughts that animals and plants contain, all life forms are sentient and we must adjust our self-serving attitudes toward our environment. Yet a sense of stewardship is difficult to foster in a society accustomed to viewing the natural world as an endless well of resources. Ecologically minded writers in Canada have created a body of literature that imagines nature in different ways. If we can imagine that the stones and trees speak to us, and if we tell stories about it, we’re more likely to feel a sense of responsibility toward these species. Zwicky’s work attempts to expand the readers’ attentiveness to nature, and to this end, The Book of Frog sidelines its human characters. But is a literature that imagines the feelings and thoughts of other species still ultimately self-serving? Zwicky cleverly sidesteps the danger other writers have faced when attempting to speak or write on behalf of animal or plant species. Frog is not a real frog but a bit of barnacle-encrusted rock, and Al is not a real albatross, so the two are more like totem spirits than real animals. 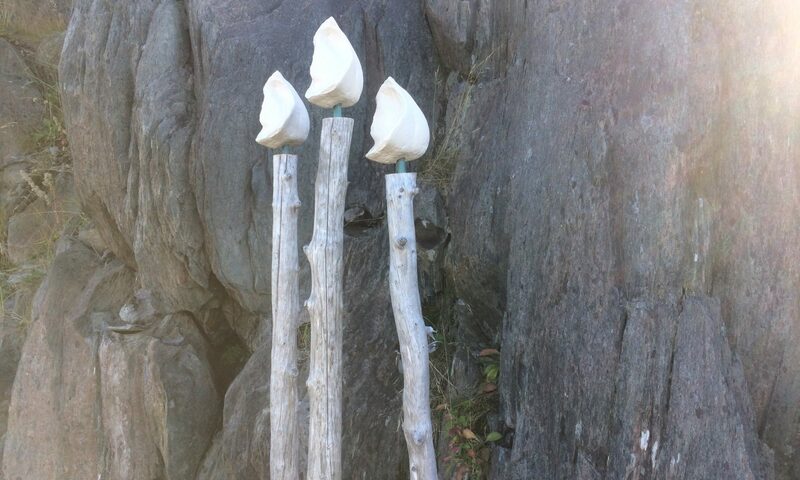 Many indigenous cultures acknowledge the importance of totem spirits as not only symbols of one’s clan or tribe, but also as reminders of a living myth and lineage. They are inanimate, yet they reflect the most animate parts of ourselves—imaginary, while connecting us to the most real, living things. While First Nations tales of animal spirits offer many moral lessons, there are blatant problems with North American writers appropriating such stories for their own use. In The Book of Frog, what Zwicky has attempted to do instead is to offer the reader ways of finding our own guides. We’re told in one of the opening chapters that “Frog had come to live with Liv and Hugh out of the sea.” Hugh may be the one to pick up the rock with four barnacle feet out of the low tide, but note the animate language that describes Frog, as though he were the one to take action. “It’s nice to meet somebody who doesn’t suffer from an exaggerated sense of his own unimportance,” Hugh muses. At any time, at any place, like Hugh and Liv, we can pick things out of our surroundings that seem to have chosen us. The Book of Frog’s quiet metaphors operate this way, too, like small pebbles that can be collected yet also easily missed. Where Liv and Hugh live isn’t specified, though we can surmise that it’s somewhere on Vancouver Island or one of the neighbouring Salt Spring Islands. This avoidance of place names may be deliberate—Zwicky may prefer that the reader identify the place through its geologic and physical description. Frog shares a dish on Liv and Hugh’s kitchen table with a number of other “friends,” including Fly, a white shell, and a pair of striped feathers called Feather. There are other objects as well, such as a Douglas fir cone and a dried petal from a golden rose given to Liv when she and Hugh first met. “From time to time, other things got added to the dish: the polished halves of an ammonite, for example, or a pale red samara from the Japanese maple.” The descriptions are understated, a gentle lighthearted tone informing us that Feather “frequently got lost and were not as keen on travel as Frog and Fly and Al.” Things are removed when it becomes too crowded in the dish, either returned to nature or moved elsewhere. This bowl itself becomes a metaphor for what we bring into our lives and our houses, and how knowledge can reside with us, for a time, before returning to its source. This way of treating objects and possessions aligns with Zen practices, which teach us that the desire for acquiring material possessions is ephemeral. What is precious to Liv and Hugh are how the things that have come into their lives serve as totems and touchstones for memory and experience. The Book of Frog disrupts the boundaries between nature/culture by portraying non-human characters, but not in overly idealized or cloying ways. The great wide open, skies and beaches, are not the only spaces to contain Frog and Al, who travel with Liv and Hugh to hotel rooms and foreign cities. They keep them company when Liv performs at a concert, or Hugh goes to a conference, and aren’t always critical of city life and civilization, nor do they speak on behalf of some vanished, remote wilderness. Frog enjoys his Internet cafés, which remind him of his dank, moist home, as well as garden courts and museums. Zwicky has infused the book with their banter and opinions, but she does so in order to offer an alternative to homocentric narratives and perspectives. It’s done with a light touch, to create minimalist allegories that linger like riddles without a clear solution. The special emphasis Zwicky places on the role of metaphor is not as fleshed out in The Book of Frog as it is her other works, such as Lyric Philosophy or Wisdom & Metaphor. Both of those texts explore the ways in which metaphor helps us find connections between divergent spheres (i.e. between music, nature, philosophy, mythologies, human relationships, and so on). They introduce multiple ways of seeing that aren’t necessarily logical or rational, but can come about through a flash of intuition, feeling, or a moment of contemplation. These connections and patterns help us view experience differently, as we see how this can also be like that, and how paradoxical perceptions of the world can simultaneously “occupy the same space,” as Zwicky writes in Wisdom & Metaphor. I’m grossly oversimplifying Zwicky’s thesis, but Adam Dickinson’s review in Canadian Literature gives a more faceted explanation. Connections made by the characters in The Book of Frog become resonant with meaning. The idea of resonance has ties to music, where melodic and harmonic motifs, phrases and rhythms build to a complete and layered experience for the listener. Perhaps the most explicit demonstration of resonance is in Liv’s exploration of the Golden Ratio, a special irrational number without a recurring pattern. A line divided into two parts so that the longer part, divided by the smaller part, is also equal to the whole length divided by the longer part, results in the Golden Ratio, a number that appears frequently in geometry, architecture, and—as Liv realizes—a logarithmic spiral that also occurs in the plot of a chromatic scale as a function of proportional wavelengths. Advanced mathematics may be beyond the scope of most general readers, but what seems more meaningful is that these details about the Golden Ratio come from Liv’s friend, Kazuo, also a cellist. Along this same vein, Frog often points out the frequent appearance of the number five in nature. Seeing a photo of a diffraction pattern of a quasi-crystal with five-fold symmetry, Liv notices its beauty, and then immediately marvels at how the lengths of each crystal segment are related to other lengths by the Golden Ratio. Without driving home the universal significance of these patterns, Zwicky nevertheless presents a pointed example of how we can become conscious of discernible contextual connections. Accompanying photographs, diagrams, and images prompt readers to find these connections on their own. The Book of Frog presents multiple voices and conversations, as well as stressing the need for silence. Liv is concerned about the inability of her students to listen, to stare out of windows, to be alone, worrying they have nothing to stimulate their imaginations. Frog and Al’s response to these anxieties is to suggest a walk. They don’t have any satisfying answers, though, except to say that despite all human forebodings of environmental disaster, “the rocks are going to be here, and the sea and the sky.” While this reassurance is somewhat deficient, maybe it’s meant to feel that way to the reader. One of the voices in Bringhurst’s polyphonic Conversation with the Toad announces, “In this poem a man talks/ to a toad. The toad may listen/ or he may not. That, perhaps,/ is not the man’s concern./ I suppose it is not the toad’s concern/ either.” There are correlations between Bringhurst’s insistence that it is “the silences of the toad” that are most meaningful, and the gaps and unanswered doubts inThe Book of Frog. These silences fill “the dark shells/ of the man’s ears and the spaces/ between his sentences,” and fill “his eyes wherever he looks/ and his lungs whenever he breathes.” In Zwicky’s book, silences may also engender rooms and capacities for other kinds of understanding. Presented in the background of The Book of Frog—like a painting’s underlayer—is Liv’s and Hugh’s marriage and how it has survived time and distance. Frog and Al also become the means by which they send messages to each other and stave off the solitude. There are details about meals, the weather, reminders to each other, and affectionate messages that Frog calls “mushy chick stuff,” though he concedes to Al that, “I think she feels about him the way you feel about the wind.” It’s plain that Liv and Hugh share an abiding love, but their absorption in quotidian and domestic details prevents them from catching onto Frog and Al’s subtle lessons. This portrayal is deliberate on Zwicky’s part, to show how difficult it can be for even well meaning people to shift their perspectives. Wisdom is hard to come by, and it isn’t always conspicuous, and metaphorical thinking often doesn’t translate smoothly into daily life and its myriad tasks and worries. While Zwicky’s other books can take on rigorous proofs and metaphysical arguments, The Book of Frog considers how theories of being and knowledge trickle down to our conversations, and to our daily practices of silence, listening, and contemplation. It hasn’t received much critical attention, most likely because the book isn’t easily classifiable into categories of genre or style. I would love to see this text on a college course syllabus, as an introduction to ecological writing, mythology, polyphony, or what role totem spirits and spirit guides might play in our technology-steeped world. In another writer’s hands, it might be more transparent and less allegorical—more direct and less chatty. But then we wouldn’t be pushed to puzzle out the book’s meaning in the same way that Liv mulls over what Frog never says. We require silence in our lives in order to make room for the wisdoms that evade language. The Book of Frog is about paying attention, and it deserves exactly that. 1 For a more through discussion of the rejection of anthropocentric concerns in ecocritism, please see Steven Rosendale’s introduction, “Extending Ecocritisim,” in The Greening Of Literary Scholarship: Literature, Theory, and the Environment, University of Iowa Press, 2002. Phoebe Wang’s work has appeared in Arc Poetry Magazine, CV2, Canadian Literature, Descant, Grain, and Diaspora Dialogue’s TOK 6: Writing the New Toronto. She graduated from The University of Toronto’s MA in Creative Writing program, and was recently a finalist of the CBC Poetry Prize. More of her writing can be found at www.alittleprint.com.